Yamazaki Limited Edition 2017: Each year, there’s a blend that delivers something truly special and confirms that the Japanese truly have a way with their Whisky. Hibiki 17 Year Old: The Japanese Whisky craze? It's all this Hibiki's fault. Unsurprisingly, it's impossible to find. Yep, this gold standard drop sold out not only in Japan, but all around the world. A great harmony of blends that exceeds the Hibiki hype. Hakushu 18 Year Old: In Japanese Whisky We Trust. And after savoring a dram of this Hakushu 18 Year Old Single Malt Whisky, you better be damn sure you will, too. 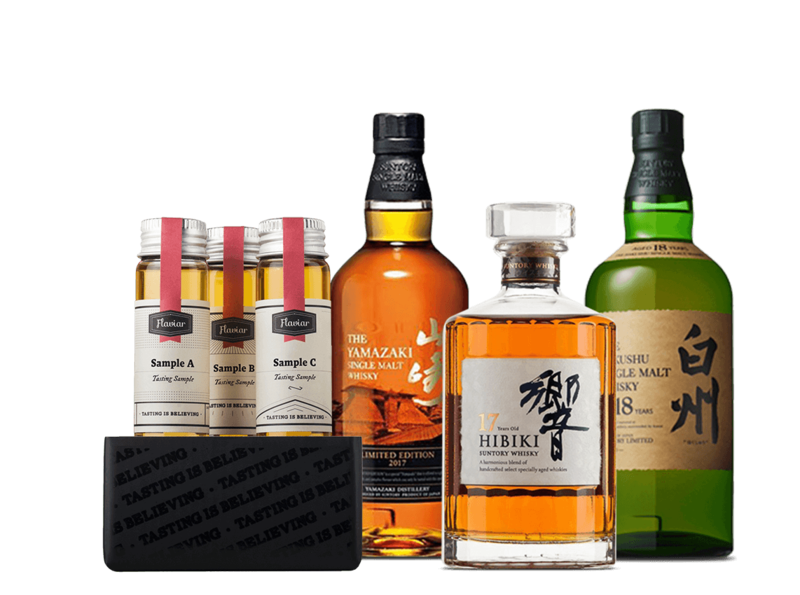 Hakushu imports peat from the other side of the world to craft an authentic, smoky taste that pairs perfectly with the fruity sensation washing over your palate. What does Vault Selection LV. Land of the Rising Whisky taste like? The Flavor Spiral™ shows the most common flavors that you'll taste in Vault Selection LV. Land of the Rising Whisky and gives you a chance to have a taste of it before actually tasting it.